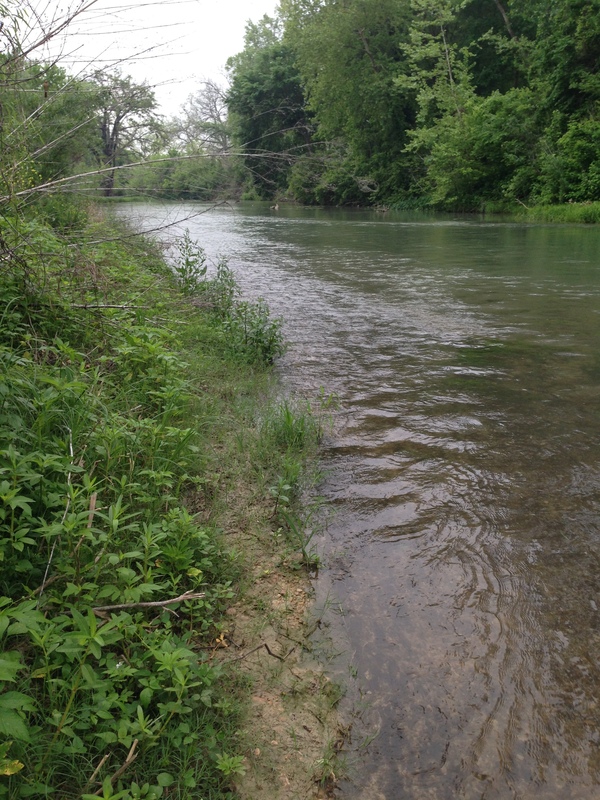 A friend recently asked me why Doyle and I do all of our training for the Texas Water Safari on the San Marcos and Guadalupe Rivers. After all, he pointed out, there are rivers much closer to Katy that would provide more convenient training opportunities. That’s true. However, the reason we will drive two-plus hours every time we do a training run is because we want to stay current (no pun intended) with what the river is doing on the actual race course. A river is a dynamic place — always changing and always moving things around. That’s why it’s important for those paddling in the safari to train often on the San Marcos and Guadalupe. A newly fallen tree or a new jumble of logs and branches present not only another obstacle to navigate around but can actually alter the current. 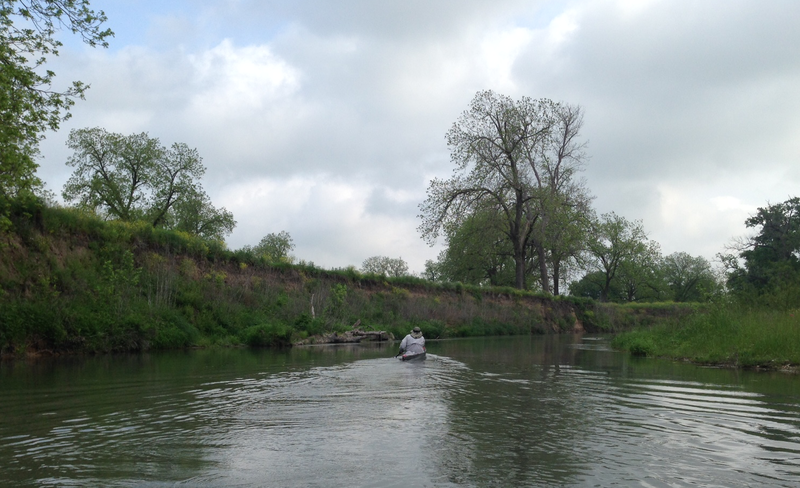 Other factors like the speed at which the water is flowing and whether the water is high or low can also impact how you paddle. 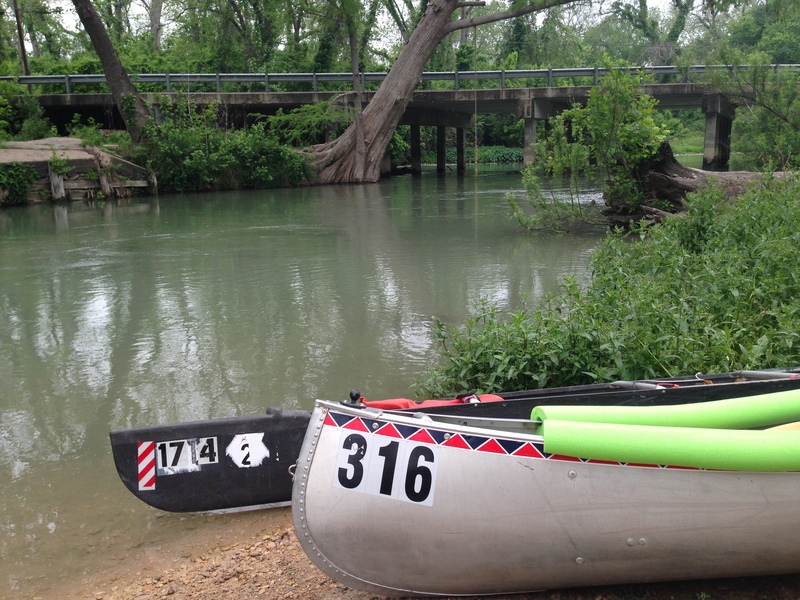 A couple of weeks ago, my son Jonathan and his safari partner paddled the first 40-miles of the course along the San Marcos. Jonathan called to caution me about a small set of rapids on the river in the vicinity of Prairie Lea, a small town near the river. Because the water was so low the last time I paddled this part of the river, this was a non-issue. Now, it is an issue. Another team that was doing a training run along this section had the misfortune of getting their canoe wrapped around a rock at these rapids. 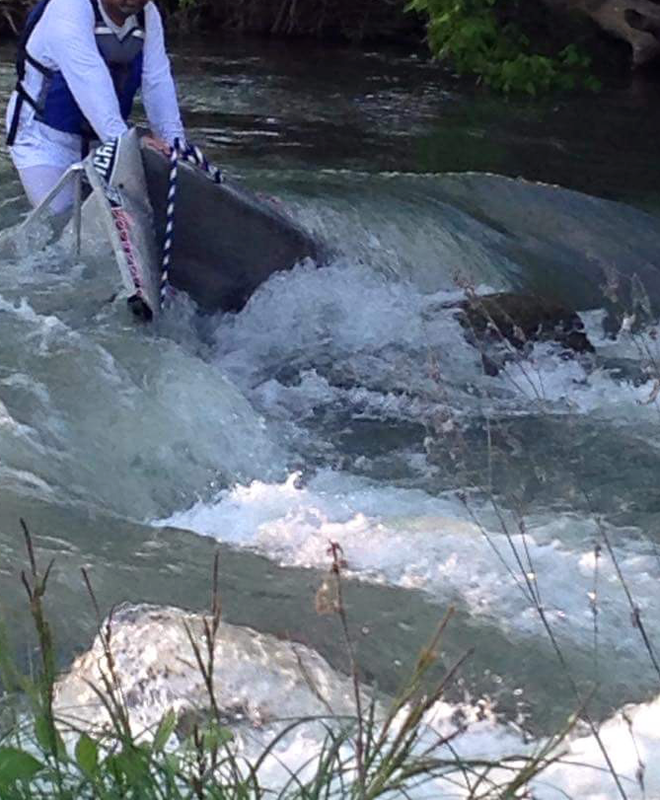 Jonathan sent me a photo of one of the paddlers trying to wrestle the damaged canoe out of the water. The force of the water and the impact against the rock were so strong that it folded their safari-reinforced aluminum canoe in half. Yikes! That is the same aluminum canoe that Doyle and I have. Jonathan and his partner successfully ran these rapids. However, he advised us to either portage on the right bank or run the rapids on the far left and to be prepared to eat the trees. Yesterday, Doyle and I met our new friend Henry Mecredy at the Fentress Bridge to paddle together to Luling 90, one of the checkpoints on the race. This is the section that includes the Prairie Lea rapids. When we approached the rapids we pulled over to the right bank to study the situation. As a result, we decided that on race day we will portage rather than risk damaging our boat and having our race end early. An important part of preparing for the race is being realistic about your personal skill levels and making decisions about what you will and will not do on the course. Having said that, we’d like to return to this spot after the race and run it. 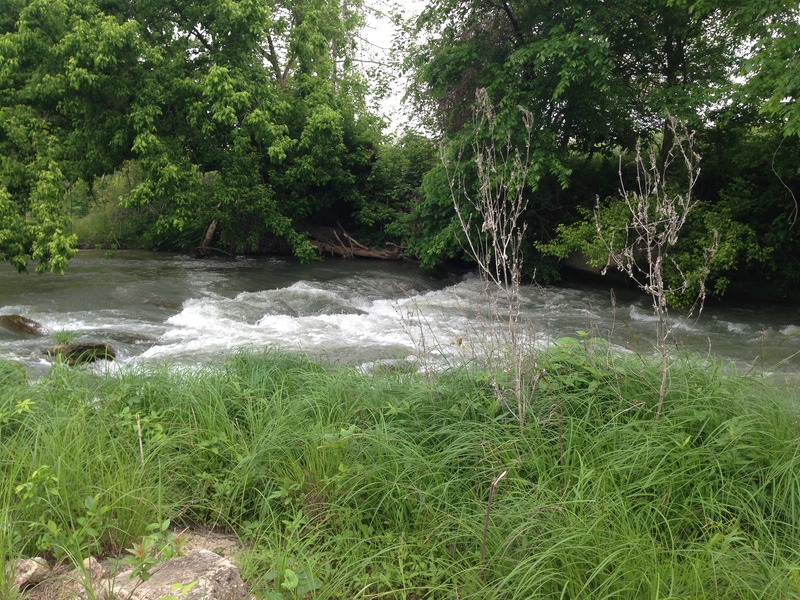 If you study a map of the San Marcos and Guadalupe Rivers, you will notice that these rivers wind back and forth as they flow to the sea. In order to know and to be prepared for what is around the next bend of the river, you have to spend time on the river. Every time we paddle a section of the race course we make mental notes of landmarks and distances and times. These notes will serve us well on race day, especially when paddling some of these sections at night. I leave for Bangladesh on Monday but have already scheduled our next training run for Thursday, April 23 — just a couple of days after I return home. Doing that training run while recovering from jet lag will be a good reminder to me of what makes the Texas Water Safari the world’s toughest canoe race. Doyle and I know that anything can happen along the race to stop us or to keep us from finishing. But, we are determined to train hard over the remaining weeks in order to be prepared for what is around the next bend of the river and to go the distance.